I don't typically feature cosplay here at the old Corner, unless it's something truly unique and out of the ordinary. 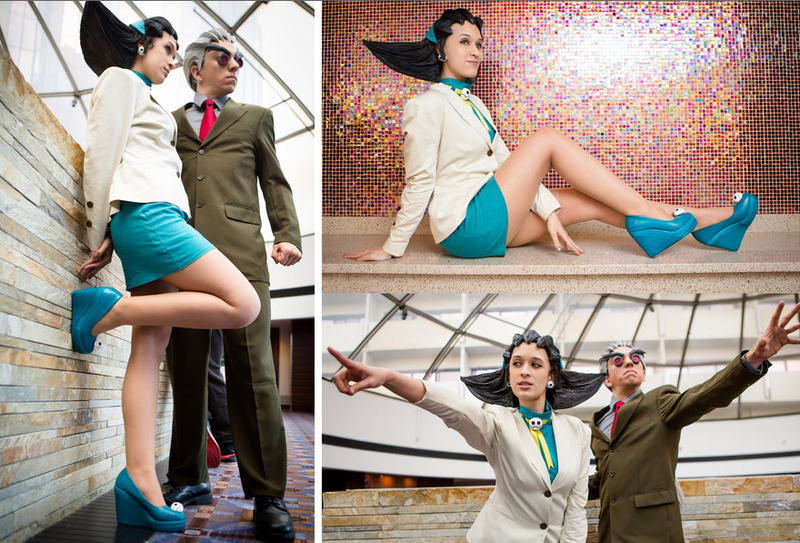 And while Bonne family-inspired cosplay is pretty common, this tribute was different enough to push me into posting them here. 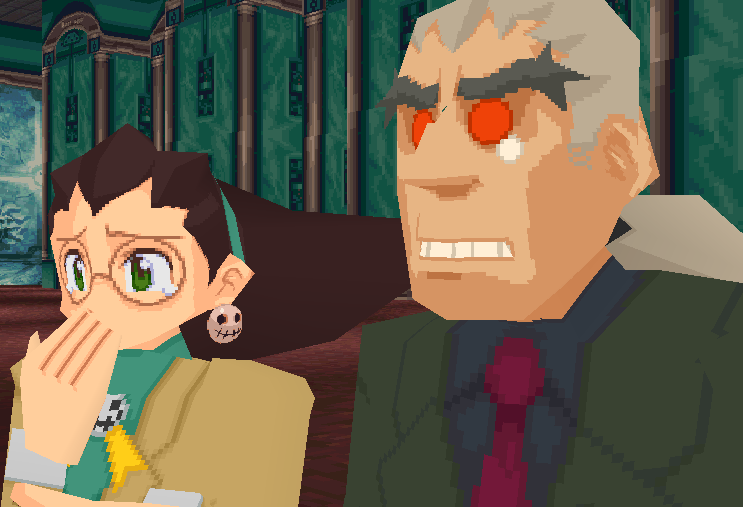 As you can see, LividDoll and Realdaguru are looking quite snazzy as Tron and Teisel Bonne in their Mega Man Legends 2 Sulphur-Bottom disguises. Sure, Tron's missing the glasses but the whole kit and caboodle is spot-on otherwise. And Teisel? Perfect expression. If you dig this, be sure to check out LividDoll's DeviantArt. She has a lot of other really great cosplay (and plenty of Tron) in her gallery. I'd hire AND buy Teisel Bonne Ace Attorney. Ha, that is fantastic. And gross. I assume that's hair gel. And I STILL didn't figure out how to finish cases 2 and 3, if possible.